An article from Reuters entitled “MIDEAST MONEY-Iraq dinar is short-term disappointment, long-term bet” came out Wednesday and it confirms some of the things I’ve been saying for some time now. My comments will be added below. My first observation is that Iraqis are concerned about the volatility of the dinar. Now why should they be concerned? The dinar’s value is pegged to the US dollar after all, and to my knowledge hasn’t declined in value since it was introduced nine years ago. Well the fact is there are two values for the IQD – the official value and the market value. This is a foreign concept to Americans but in Iraq the street value can vary from the official value considerably. Take a look at this chart from the CBI website. 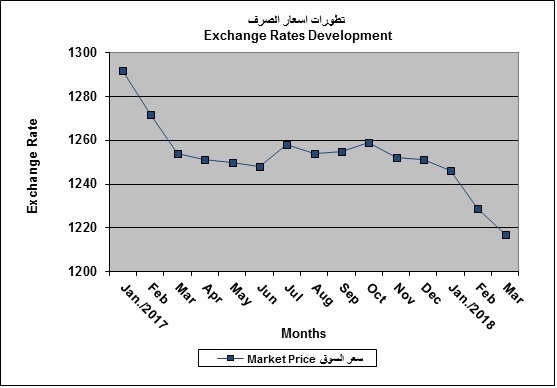 As you can see the Auction Price reflects the official exchange rate and the Market Price is the street price which has fallen considerably against the dollar this year. This is why the CBI had to step in recently to bring the street value closer to the official value, as was discussed in this article. Majid picture, that the U.S. dollar in freefall and Sesawe Iraqi dinar exchange rate in the next few days, praising measures the central bank “successful” to reduce the dinar exchange rate against the dollar. said Suri (of the Agency news) today Sunday: One of the important factors for the high exchange rate of the dollar against the dinar in the summer months the past is the high demand and tight supply and exploitation of banking companies for citizens to raise the price of the dollar, prompting the central bank to increase supply in the currency auction. added: that the success of actions the central bank to reduce dollar against the dinar would make dollar equals Iraqi dinar per the next few days. confirmed the picture: the decline of the dollar was limited only to demand cash and not remittances, noting that the transfer obtained by the merchant through banks and banking companies circulated at the official rate, The cash demand by citizens through banking offices fell to its dependence on the supply and demand factor. What I believe this article is saying is that banks in Iraq were gouging the people on the value of the dollar which led to a decline in the street value of the dinar against the dollar. When the central bank bought dinars with dollars that seemed to bring the dollar’s value down and the dinar’s value back up as supply and demand did their thing. If you don’t understand that there are two markets for currency in Iraq you won’t understand these articles. The official value (which is the value of the IQD that investors hold) wasn’t affected. Only the street value was. Of course some of the gurus completely misinterpreted this article and focused on the fact that the CBI was manipulating the exchange rate and said that this confirms that they’re hiding the true value. Rubbish! They were just managing the market value which is something they’ve done for years. The gurus focused on the words “would make dollar equals Iraqi dinar per the next few days”. I believe that this is just referring to the CBI’s success in bringing the street exchange rate closer to the official exchange rate of dinar per dollar. Which brings to mind another article from the NY Times a few years ago entitled “Billions Over Baghdad“. In this article there was a reference to the appreciation of the dinar shortly after the currency was changed in 2004. Because the new Iraqi dinar was so popular, the central bank bought billions of United States dollars to keep it from appreciating too much. Again, the dinar is a pegged currency so it doesn’t appreciate apart from the occasional adjustment by the CBI which has only occurred once since 2009. The appreciation that this article was referring to was the market price in Iraq and had nothing to do with the official value of the dinar held by speculators. The next point in the Reuters article I’d like to address is this paragraph. This confirms what I’ve been saying about “deleting three zeros” means redenomination (lop), which yields no net increase in the value. This was also stated in the recent indictment of the four dinar pumpers who were arrested on fraud and money laundering charges. And for anybody who thinks “deleting three zeros” is a mistranslation of the Arabic reference to removing the three zero notes from circulation, bear in mind that this is a Reuters article written in English, not an Arabic article translated into English. This confirms what I wrote recently about Shabibi and Stability. Contrary to what the gurus are telling us Iraq likes the exchange rate just like it is, and that’s why it’s not going up. It’s not because of Maliki or Obama or the Kurds or Kuwait or China or anybody else. It’s because the Iraqis don’t see fit to raise it. And finally, we read this. As I have been saying, rather than reducing the money supply the CBI is representing the growth in their economy by increasing the money supply. The deputy governor of the CBI anticipates further increases over the next year or two according to the article. Also, as I suspected the currency reform apparently won’t happen for another year or more. This is one reason I have decided not to spend as much time as I was on the blog. (I never said I wasn’t going to post anymore as some are claiming.) I can’t see myself posting three times a week for the next year or two like I’ve been doing for a year now. In fact I was just going to stop posting entirely unless something significant occurred. Well wouldn’t you know it? Right before the one year point of my blog the arrests took place. How could I not post on that? And I now anticipate more developments. I had been told recently that something significant was about to happen with investigations of dinar fraud, but I dismissed it just like all of the other dinar rumours I hear. In this case however the rumour proved to have substance. Now I am told to expect further movement along these lines so I might have to put my blogging hiatus on hold. Nothing would make me happier, I assure you.